This profile provides participants with valuable insights that unlock engagement and inspire effective collaboration. 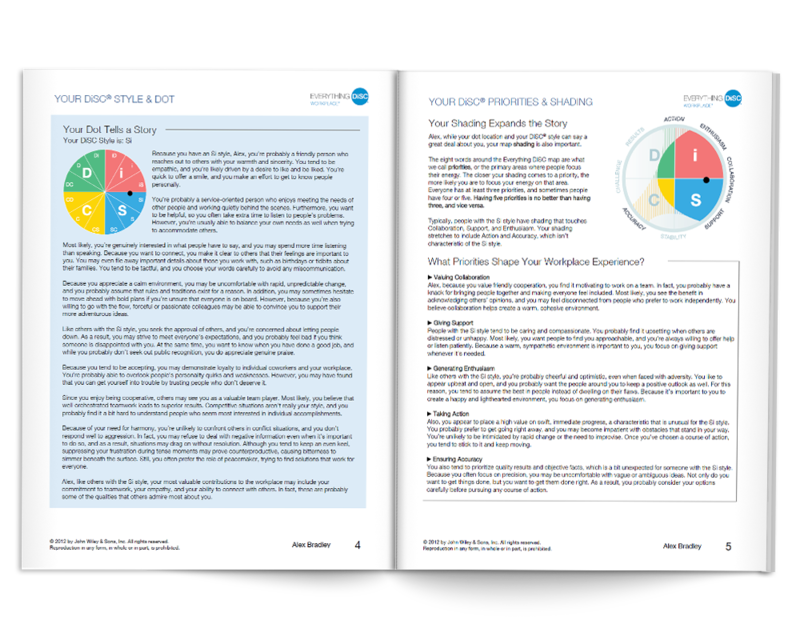 In this personalized, 20-page profile, participants will explore the priorities that drive their behavior, learn what comes naturally and what might be challenging when interacting with others, and gain actionable strategies to strengthen their interpersonal interactions at all levels in the workplace. 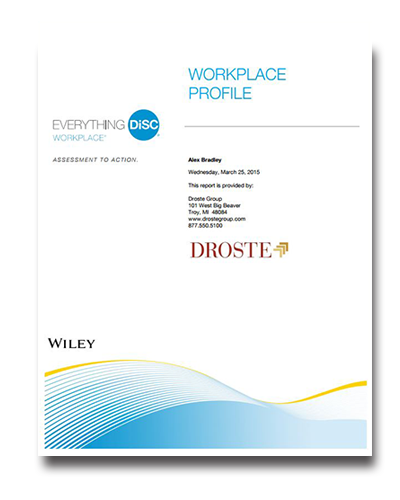 The profile comes to life with the Everything DiSC Workplace Facilitation Kit, offering a workshop experience that engages and educates. With a dynamic, modular design, a customizable presentation, and contemporary videos, your participants will walk away with a deeper understanding of their personalized profile and a memorable experience that inspires lasting behavior change.